The Sharp Aquos S2 was launched back in August this year, and from past month, we have seen a few other phones from the company with the bezel-less display being listed on TENAA like the Sharp FS8018, FS8015 etc. Today, the Sharp FS8015 showed up on TENAA that revealed not only the design but also the major specifications. Talking about the design, the phone looks pretty similar to the Sharp Aquos S2 as it has the same vertical rear camera alignment. But, there is no notch on the front for the front camera. The fingerprint scanner is present on the rear, pretty different location than what we saw on the FS8018 and the Aquos S2. The volume rockers along with power button are present on the right side while the SIM card tray is on the left. It looks like the buttons, and the fingerprint scanner have a golden border that looks nice with the Black color of the phone. Talking about the specifications of the Sharp FS8015, it features a 5.99-inch Full-HD+ Display with 2160x1080p resolution, i.e., 18:9 aspect ratio. 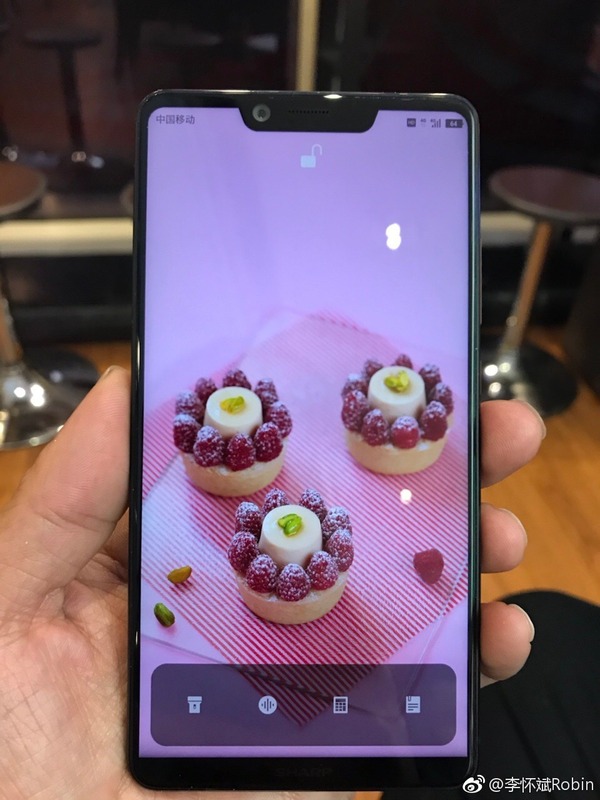 It is powered by an octa-core 2.2GHz processor which could either be the Snapdragon 630 or the 660 but TENAA listing has no mention of the exact name of the processor. There is 4/6GB RAM and 64/128GB internal storage that can be expanded up to 256GB via microSD card. Under the hood, the phone has a 3,100mAh battery. Talking about the cameras, there is a combination of 12MP+13MP cameras on the rear while a 16MP camera is present on the front. Android 8.0.0 Oreo runs out of the box. The phone has a USB Type-C Port too. So, what are your views on the Sharp FS8015 specifications? Do let us know via the comments section.